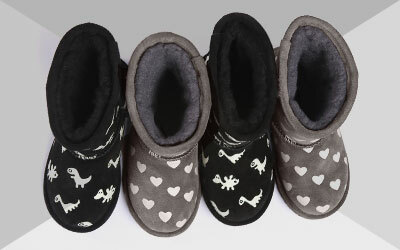 Keep your feet cozy and warm in the home with our EMU Australia sheepskin slippers for women. We took our ideals and values of using only the finest materials, such as 100% real Australian sheepskin whilst taking inspiration from mother nature, and applied this when branching out into creating beautiful ladies’ sheepskin slippers. We have different styles of slippers for you to choose from, such as slides, mules and moccasins, in a range of beautiful colours. Opt for colour pops like pink, blue or red, or keep it classic in tan, brown and black sheepskin slippers. EMU Australia’s cozy sheepskin slippers are perfect for wearing around the house in the winter but also during the summer. Our 100% real Australian sheepskin is really breathable, meaning it keeps your feet at their warmest in cold and snowy climes but also keeps them cool on hot summer days, so you can wear your pretty slippers all year round! But not only can they protect your feet from cold floors in your home, they can also be worn outdoors thanks to the rubber outsole, for a fashionable and trendy look. The rubber sole is lightweight, flexible and anatomically designed to support your feet. They also have various supportive features such as suede instep bands for extra comfort. We have a range of different styles to suit all tastes and needs when it comes to stylish slippers. Go for our slider style for easy comfort and an on trend look, either in plain colours or choose our striped or floral design detail for a pop of colour. Or perhaps a mule style slipper is more your thing - we have classic tan full sheepskin styles with a fluffy cuff, or the Mooka has a luxe design with a crocodile embossed suede outer. Moccasin styles provide full foot support as they’re completely closed in - choose our cracked metallic option with fluffy cuff and lace detail for a slice of everyday luxury, or a more pared down option in the ‘Talia’, which comes in a nice, classic colour palette. All of the materials we use to make our stylish, warm, and trendy sheepskin slippers are of the highest quality. In our development process, we aim to embody the spirit of the naturally beautiful Australian landscape and take inspiration from Mother Nature. 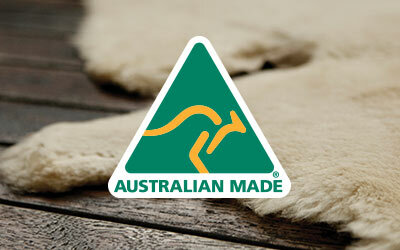 Many of our sheepskin slippers are accredited with the Woolmark stamp. A pair of EMU Australia sheepskin slippers are a great investment, since they’ll last for a very long time. Your feet work hard for you, so why not go on and treat your feet to a piece of everyday luxury and get a pair of EMU sheepskin slippers today!